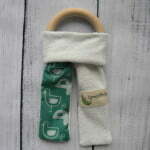 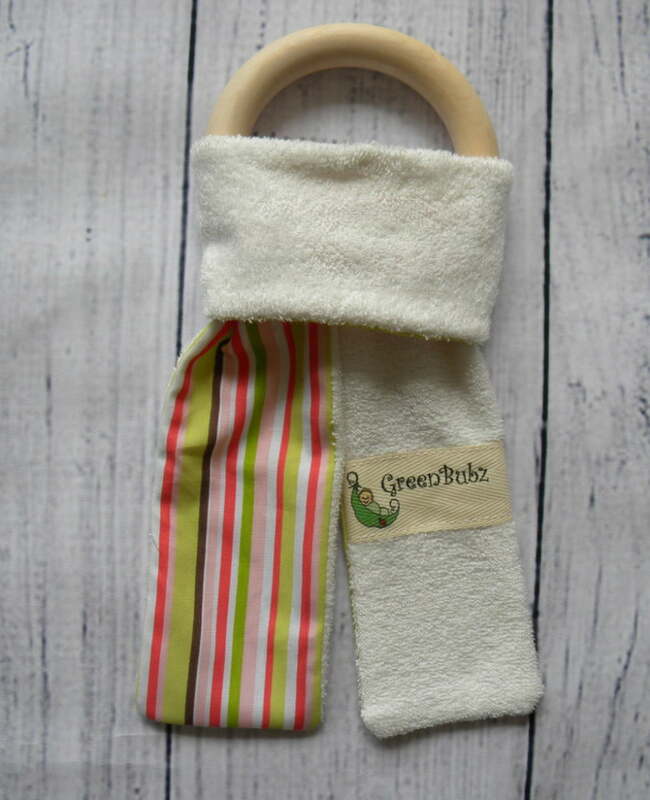 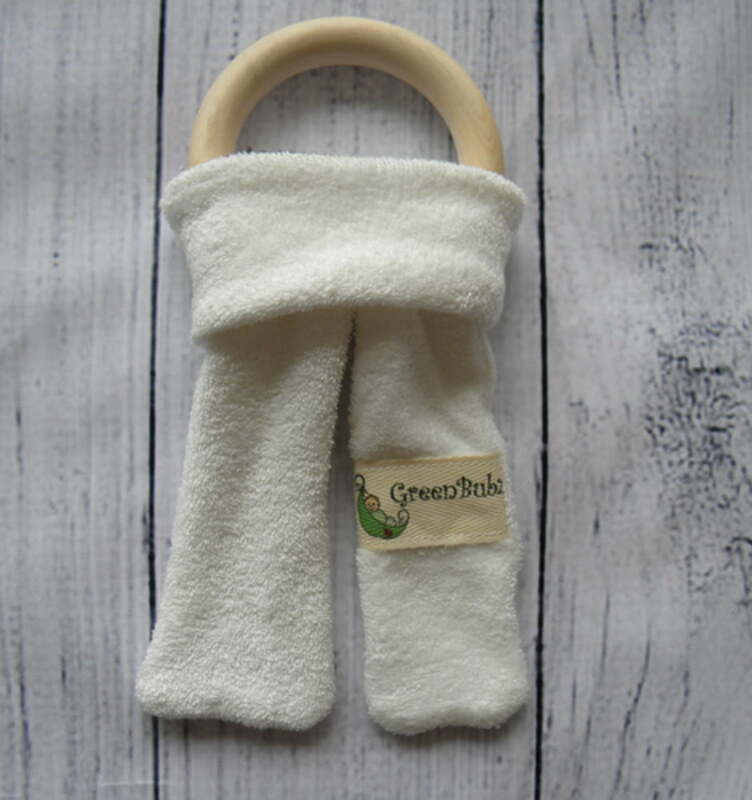 Category: Organic Baby Toys Tags: bobsy ears teething ring, green duck teether, maple teething ring, Organic teething ring	SKU: N/A. 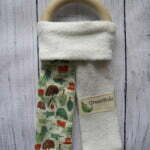 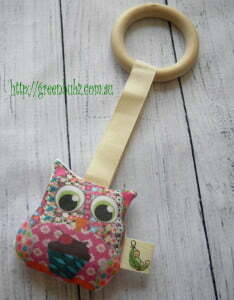 Our Organic “Bopsy Ears” Maple Teething Rings would make an ideal gift or purchase for bubs. 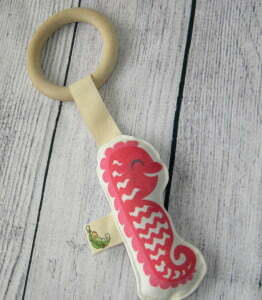 Perfect for that difficult teething stage. 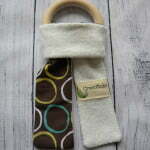 THE PERFECT BABY SHOWER GIFT! 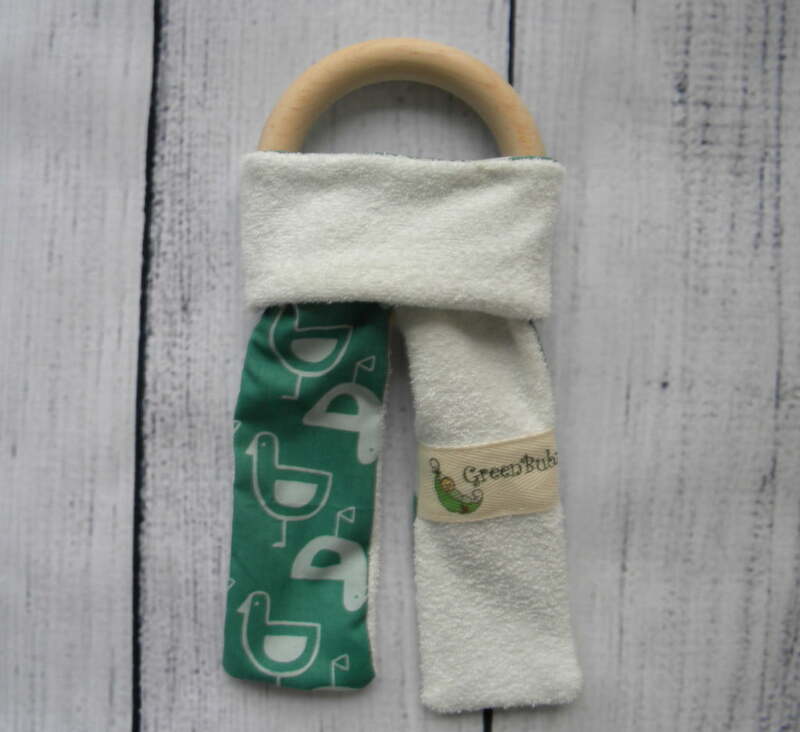 Offering a Natural Organic alternative to plastic Teethers, our “Bopsy Ears” Maple Teething Ring provides both a soft and hard surface for bub to cut new teeth on and to soothe the pain in their gums. 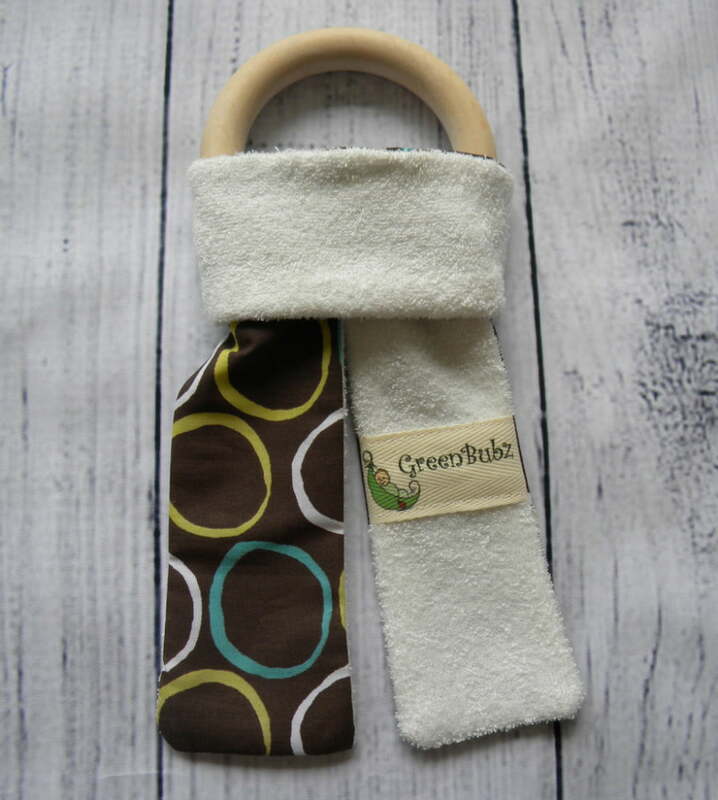 Just what you need to keep your bub happy. 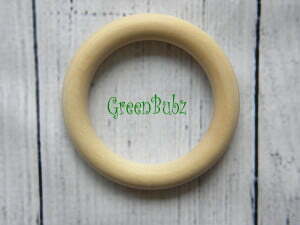 Organic Maple Wooden Rings Sealed in Beeswax and Olive Oil for a smooth finish that sooth’s babies gums. 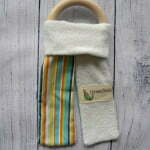 This product is 100% Organic and natural. The ‘Bopsy Ears’ are made out of Unbleached Organic Bamboo Terry Toweling & 100% ORGANIC Cotton GOTS Certified Fabric. 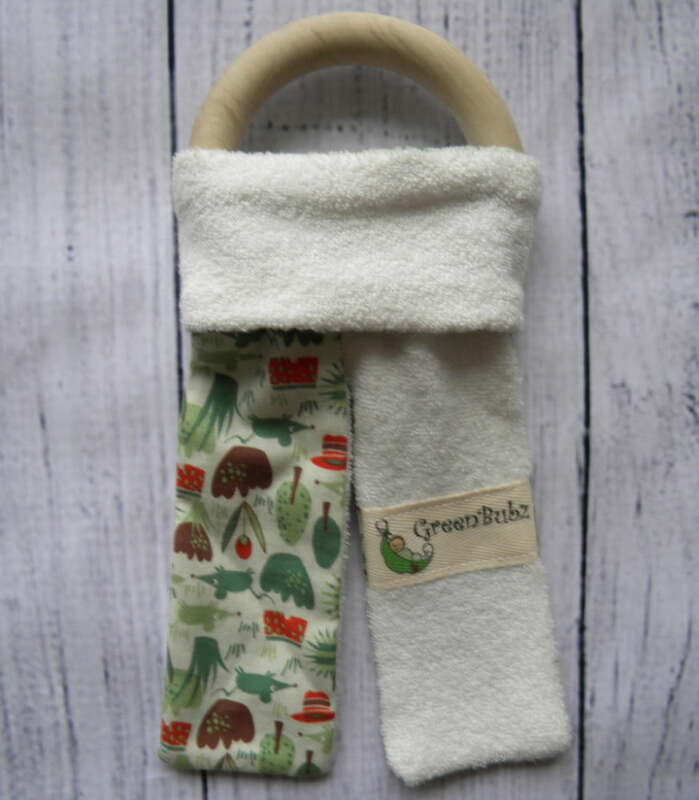 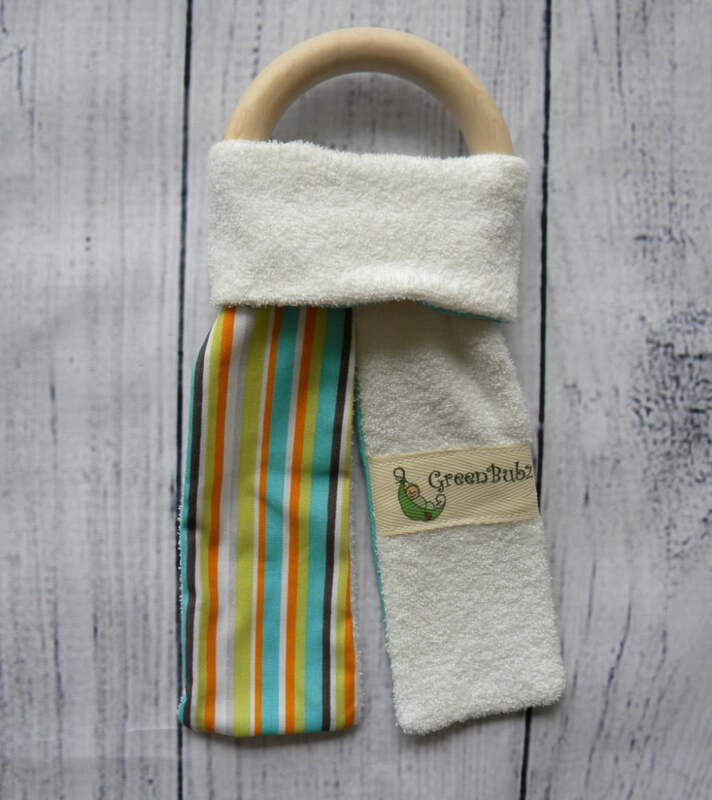 So baby can chew without worry and all the drool will be soaked up by the Bamboo Terry!